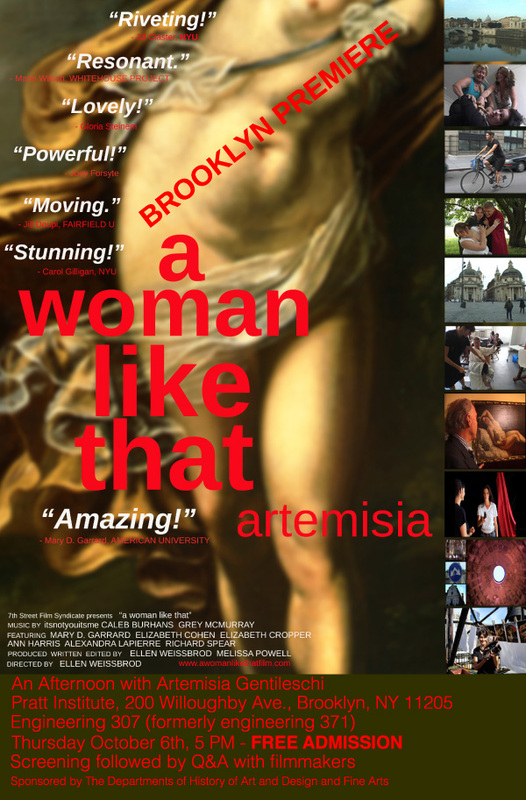 Please join the departments of History of Art & Design and Fine Arts for a very special screening of the film “A Woman Like That,” a documentary about the artist Artemisia Gentileschi, followed by a Q & A with the filmmakers. The screening will take place on Thursday, Oct. 6 at 5pm on the Pratt Brooklyn campus in Engineering, Room 307. Click here to watch a trailer and learn more about the movie and this influential Baroque painter!